Paintball in North Wales has 3 great venues on offer. The first is located in the beautiful woodland of Bangor right in the centre of North Wales. 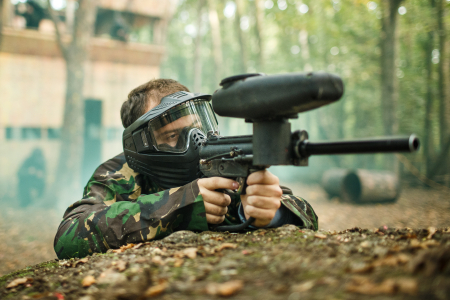 This well established paintball venue has catered for thousands of happy customers utilising the gorgeous North Wales countryside as the back drop for some extreme paintball battles. Our two other venues maybe more convenient for our customers in North Wales located in Macclesfield and Stoke. All these venues guarantee a great days paintballing and with exciting scenario's and game play. Coed Rhydww, Bangor, Gwynedd, LL55 3AW (NEAREST POSTCODE). Cocksmoss Woods, Cocksmoss Lane, Cheshire, SK11 9HX. Hollington Road, Tean, Stoke, Staffordshire, ST10 4HY.